Willamette University is a private college located in Oregon. 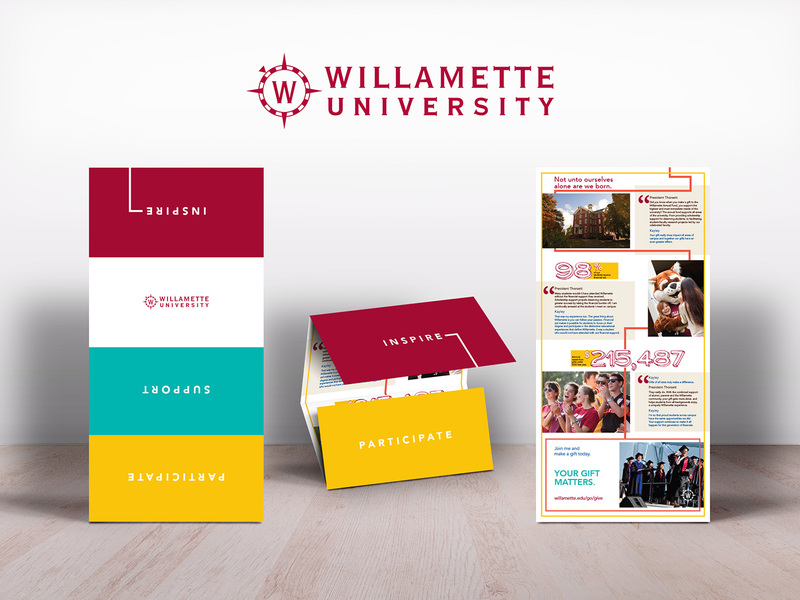 With a tight deadline looming, Willamette needed a self mailer to target recent graduates to encourage them to donate to the university’s annual fund. 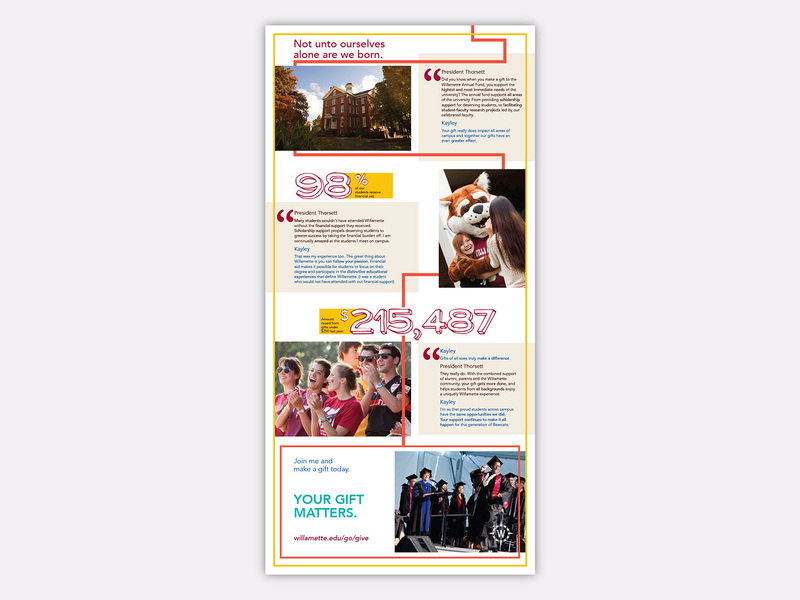 With remarkable speed, we created a self mailer that featured a conversation between the university president and young alumni. A bright color palette and design elements that guide the reader through the content. The self mailer was a fresh approach for the annual fund.